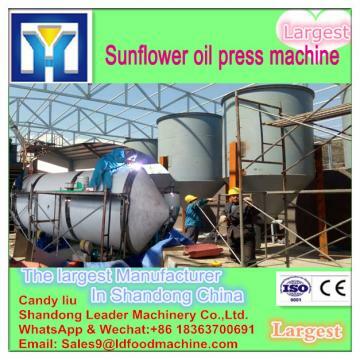 1.High liquid oil yield ,high purity solid fat,high economic benefit,and other advantages. 1.well sealing for heating system ,no gas leak and saving fuel. b.shelling&hulling: Adopt wind selection and screen selection methods to separate husks from kernels. 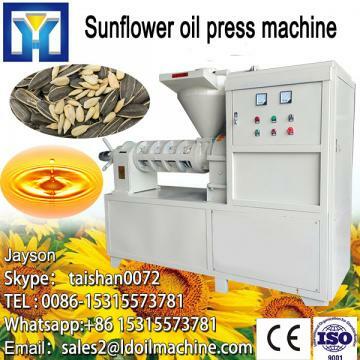 f.Pre-pressing :For sunflower seed with high oil content, it needs pre-pressing to press part of oil firstly and then extract residual oil in cake through solvent extraction method. After pre-pressing process , the requirement of peanut cake : moisture is about 8%, the residual oil :18-22% . Use solvent organic solvent through soaking or spraying contact methods to extract oil from the cake. There is only less 1% oil content in meal after oil extraction machine . (1) The material (for pretreatment) is sent to rotary extraction by the scraper conveyor. The material will extracted by the solvent or mix oil. After this step, we will get the cake and mix oil. (2) Cake is sent to toaster. Through the toaster, the solvent will separate from the cake. The solvent goes to condenser and is recycled to rotary extraction. Note: you can only use the physical squeeze, or leaching squeezing, also can use physics and leaching at the same time .It according to your capacity . (5).Deodorising to remove volatile components, mainly aLDhydes and ketones, with low threshold values for detection by taste or smell. Deodorisation is essentially a steam distillation process carried out at low pressures (2-6 mbar) and elevated temperatures (180-220°C). LD and Oil Co., Ltd(hereinafter referred to as LD) is specialized in undertaking turnkey projects covering Edible Oil Equipmentmt, Flour Milling Equipment, Feed Equipment and other related machineries. LD is engaged in designing, manufacturing, supply and installation and commissioning of a complete range of machinery/plants on a turnkey basis. The company offers customized turnkey solutions to the clients right from the very begin planning to commissioning and maintainance. 8.After the equipment field assembly and installation, we will be also responsible for the single equipment debugging, online debugging and Feeding trial operation, to ensure that equipments can normal operate in full load conditions. We will provide all kinds of information and records according to the requirements of the bid. The qualified completion files will be provided to customers according to their requirements within one month after acceptance.